Some of Utah’s most accomplished musicians will gather May 6 to close out NOVA Chamber Music Series’ extraordinary 40th anniversary season with a concert highlighting familiar as well as not widely known works by Schubert and two giants of 20th century music – Olivier Messiaen and Witold Lutosławski. This spring concert highlights works by composers as young artists but who already show signs of their mature genius at work. 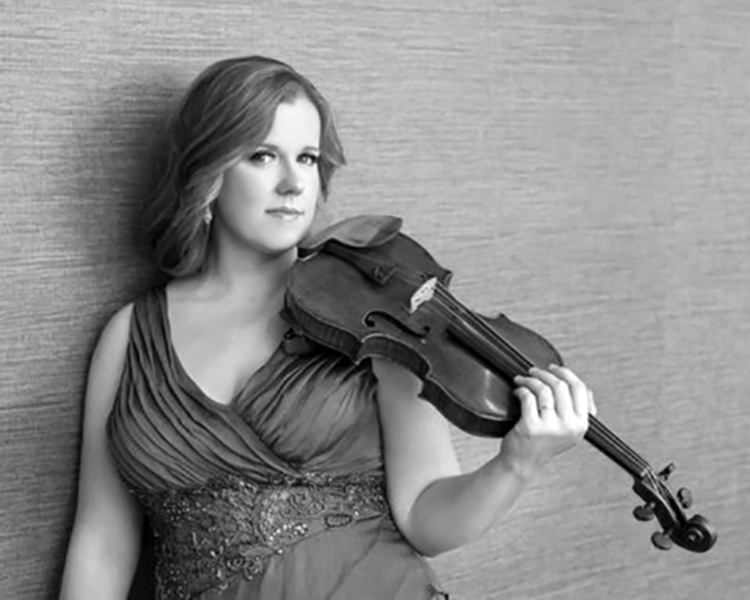 Featured artists include soprano Melissa Heath, clarinetist Erin Svoboda, violist Carl Johansen, cellist Andrew Larson, pianist Frank Weinstock and Madeline Adkins, Utah Symphony’s concertmaster, who also will take the helm as NOVA’s new music director. The concert will take place at 3 p.m. in the Libby Gardner Hall at The University of Utah. After a season of breathtaking performances, highlighting Utah’s top class of musicians, numerous premieres of commissioned pieces and the first Utah presentations of major works and a chamber operation by composer Michael Hersch, the closing concert symbolizes a changing of the guard, as Jason Hardink hands the programming reins to Adkins. Hardink will stay on as artistic adviser. At the concert, audience members will learn of next season’s Subscription and Gallery Series. 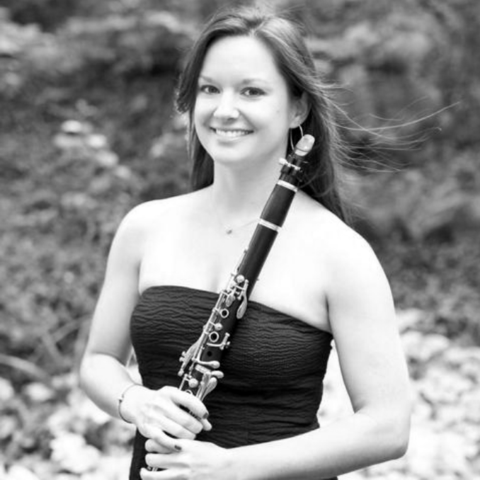 This assuredly will include new works as well as seldom performed music by well-known composers that will be heard for the first time in unexpected juxtapositions and themes, as Adkins puts her unique stamp of curation on NOVA’s 41st season. For this season’s final concert, Heath will sing three Schubert songs for soprano and piano, as taken from texts by Goethe. 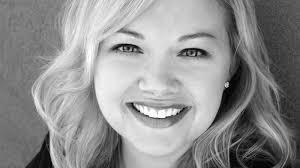 This will include Gretchen am spinnrade, one of the most famous dramatic lieder. Schubert (1797-1828) is the unparalleled master of the lieder form, having composed well more than 600 songs for voice and accompaniment. Johann Wolfgang von Goethe was a contemporary of Schubert (born some 48 years before him) and the composer became passionate about translating his works. Goethe would live another four years after Schubert’s death at the age of 31. Schubert wrote all of his songs within a decade, starting at the age of 17, beginning in 1814. Messiaen’s Trois Mélodies was composed in 1930 when the French composer was 22 – a work that was recognized for the top prize at the Paris Conservatory where he studied. The songs presage Messiaen’s later extensive experimentation for vocal writing even as they remind somewhat of Debussy’s musical style. These are hardly student works but what is notable is how the young composer asks for performers to focus on interpretive expression even more so than technical prowess. The composition has a poignant backstory. Two songs with lyrics he penned are Pourquoi? (Why?) and La Fiancée Perdue (The Lost Fiancée). In the third Le Sourire (The Smile), which is sandwiched between the other two songs, he uses a poem written by his mother (Cécile Sauvage) who died three years earlier, when he was just 19. The first song Pourquoi? is a lament about why one would appear to be unaffected and unmoved by nature. One verse translates as, “Why don’t they have charms for me? Why? Oh, Why?” The song is notable, as Messiaen’s connection to Utah is unique. 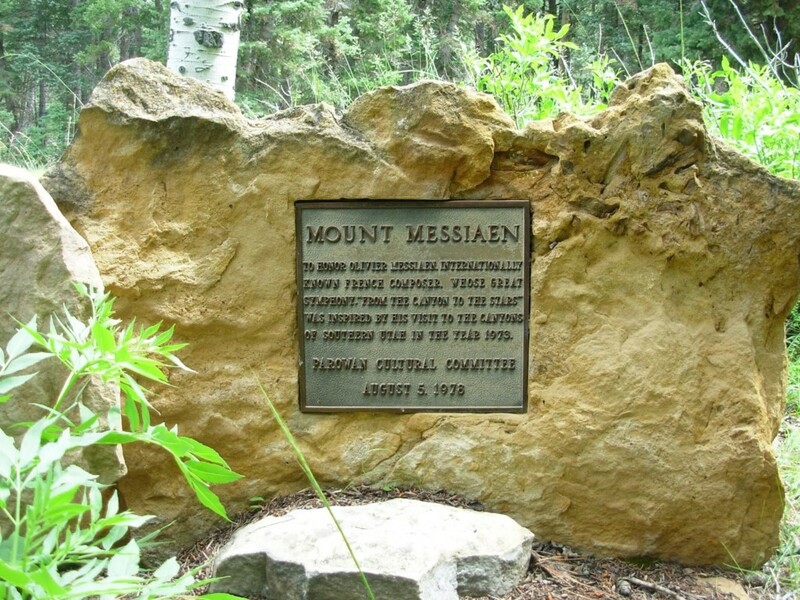 After he and his wife visited Utah in the 1970s, taken completely in by the beauty of southern Utah, the city of Parowan in 1978 honored the composer by naming Mount Messiaen, located near Brian Head. Working from folk music and interfacing rhythmic patterns, Lutoslawski originally set the five very short pieces of the Bukoliki (Bucolics) for piano in 1952 but recast them for viola and cello a decade later. Lutoslawksi is one of the 20th century’s most fascinating composers, especially for his free-wheeling approach to avant-garde composition. He played piano in bars during the Nazi occupation of Poland, he stood up to Stalinist censorship which decried his music, and was one of the most prominent artists to support publicly the Solidarity movement which swept his homeland, as the Iron Curtain began to crumble. The Bucolics are a sample that encourage listeners to check out more of his work. 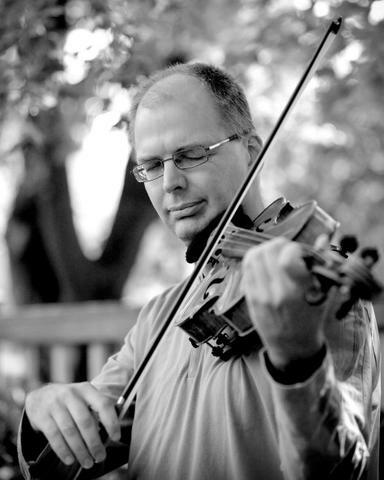 Adkins leads a top-class ensemble of Utah musicians in Schubert’s Octet in F major, D. 803, composed in 1824 as a result of an aristocratic commission. Count Ferdinand Troyer, who was part of the household of Archduke Rudolf of Austria, was a clarinet player of respectable musicianship and he adored Beethoven’s Septet in E-flat Major, Op. 20, which was written more than two decades earlier. The terms of the commission for Schubert dictated that he follow the famous Beethoven work as accurately as possible. The result is astounding for how he achieves Troyer’s demands with one key exception – Schubert added a second violin part to reinforce the sound of the strings. The work is cast in six movements that follow the classic divertimenti style so popular at the time. Troyer, who performed the clarinet part for the premiere, approved it enthusiastically. Ironically, as musical tastes changed rapidly in the 19th century, the Octet, along with a good deal of Schubert’s music, slipped into obscurity following the composer’s untimely death. It would be Johannes Brahms who resurrected the work decades later, in 1889. For more information about the concert and the next season, see NOVA.